Most of us have heard it said that we live in a postmodern world, but what exactly does that mean? More specifically, what does it mean for Adventists? It is fair to say that there are a variety of definitions floating around, but if we start with Enlightenment thinking where sense and reason play a central role, we can contrast this modern approach to that of postmodernism. For this latter category a theme that often emerges involves reaching conclusions in ways that ignore or deny some aspect of verifiable reality. I am personally partial to the definition offered by the eminent biologist, Edward O. Wilson, who refers to postmodernism as a state “constructed by mind,” which he contrasts with a “perception of mind. "1 Here he is taking aim at those who do not take seriously the evidentiary lay of the land that in many cases conveys widely shared understandings of reality based on sense and reason. Proceeding, then, in a postmodern way often requires a proponent to pretend that what might otherwise seem obvious in light of the evidence, isn’t. The answer is no. This is primarily an argument against abandoning our God endowed powers of sense and reason. We should be mindful, here, that the scientific community universally attests that it is not above critique — in fact it welcomes it as the life-blood of advancing knowledge. We should probably keep this in mind when we consider the ecclesial capacity for openness in the same sort of way. It is important to recognize that failure on this key procedural point (openness to evidence) misses an opportunity to set in place a process that could promote self-correction. A failure to self-correct can result in an unnecessary denominational catastrophe down the line, for as the nature of reality becomes more rooted and established within the culture through multiple layers of confirmation it increasingly undermines the credibility of those who refuse to be so guided. It also sets people up for disillusionment when the factual reality begins to set in. We should all recognize the natural tendency to allow long-held traditional assumptions to trump infringing data, and for many of us this would include the assumptions that grew out of a particular reading of the early chapters of Genesis. We all know that this traditional understanding does not fare well from the community of subject matter experts outside the Adventist echo chamber. In most cases the scientific consensus is very broad, with near unanimity based on the wide-ranging depth of the evidence. In reaction to this, it is not uncommon for Adventists and other conservative ecclesial communities to argue that these scientific conclusions are the product of Godless scientists, even though in reality many such scientists are members of the believing community.6 More importantly, evidence does not come with a bias; it simply sits there waiting to be objectively analyzed. Much of the more mainstream Christian world has taken its cues from the physical evidence and have consequently moved beyond a narrow reading of Genesis. They have done so by seeking ways to understand theological premises in light of the physical evidence. When the last chapter of this period is written about by historians, surely focus will be given to those scientists in our midst who know the compelling nature of the evidence that should inform interpretations of Genesis, but instead have lighted the pathway that has enabled the scientific laity (most of us) to deny the temporal reality. In this search for answers to the complexities of the real world, theology majors can be forgiven; scientists who know better — not so much. This is particularly true when prudent scientifically-based caution has not been proffered against ecclesial inclinations to ignore important pieces of physical data. It is perhaps time to distinguish the contemporary Adventist postmodern impulse with that of the founders where there existed the concept of a living, dynamic truth. These founders were willing to set aside personal convictions in favor of new evidence (a.k.a., “present truth”). In light of this history, it is profoundly disheartening to see Church administrators move to replace this historic and centered Adventist concept with a creedal statement that dishonors that history.8 The danger of the current path is that by allowing dogma to be unaccountable to grounded and universal forms of knowing, it elevates a process in by which doctrinal integrity becomes subverted. Like never before, the current century finds large segments of humanity who seem to have lost their capacity for connecting factually to the world. We are now living in a postmodern age where “belief” often assumes more importance than what the factual lay of the land will allow. 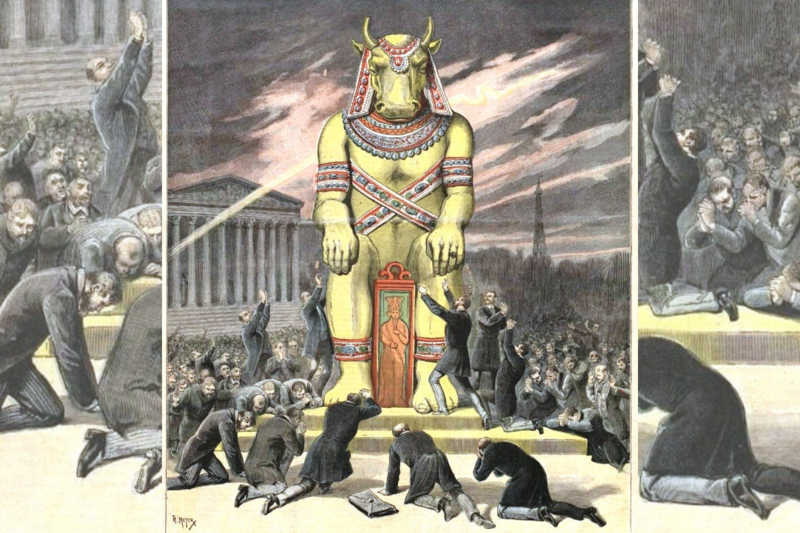 In such a world we find a variety of political and ecclesial institutions filled with true believers fawning after a golden calf. The antidote to all such postmodernist impulses would be a renewed commitment to God endowed sense and reason, replacing self-assured, “rightness of belief,” with a dose of humility. This is the pathway to present truth in our time. If we are concerned about an age “when the very elect may be deceived,” the forgoing suggestion would immeasurably protect from that possibility, and would give institutional relevance to those parts of the world still committed to living as authentically connected to reality as is humanly possible. 2. Or as in the case of Presidential Advisor, Kellyanne Conway, we now have “alternative facts,” which should inspire us to wonder what that means. 4. See generally, Clifford Goldstein, Baptizing the Devil, Pacific Press, 2018; see also Fundamental Belief #6. 5. Exhibit A would be rewording of Fundamental Belief #6 in 2015 to use the extra-biblical and non-biblical word of “recent” in describing when creation took place. Adventist beliefs regarding Genesis are based upon an interpretation — one among many. The Adventist interpretation must therefore be seen as “chosen” rather than compelling. 7. This is perhaps most clearly evident in Clifford Goldstein’s work referenced in note #4 above. 8. See SDA Fundamental Belief #6. Jan M. Long is author of the book When Religious Faith Collides with Science: A Navigational Guide, from Wipf & Stock Publishers, and available from major book retailers.